Welcome to the New Inn, a 15th Century Inn & former brew house situated in the lively village of Kilkhampton on the dramatic North Cornish Coast. Family run for the past 36 years, we have a good reputation for our hospitality and fine food, freshly prepared by our experienced chefs. We serve a rich variety of real ales and ciders from the Sharp’s and Tintagel breweries, and offer a range of traditional home-cooked pub food, plus daily specials. 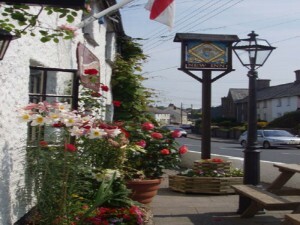 Book your stay at the New Inn and see that Cornwall is a great holiday location for all seasons. Parking is not a problem at The New Inn, we have our own private car park for 35 cars. Unfortunately we don’t accept dogs. 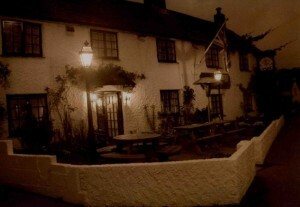 The 15th Century New Inn and former brew house can be found in the heart of Kilkhampton. In 1873 Mr William Trewin was the landlord and local bootmaker, followed by Alfred and Arthur Trewin. Up until 1970 when Arthur retired you could get a pint and a pair of boots at the New Inn. Harold Britton purchased the pub in 1971 and set about enlarging the building with a new bar area, toilets and kitchen. 1976 saw the arrival of Albert Pengilley who built the Skittle alley and joined it to the main building. The Pearce family arrived July 1982 and have continued the refurbishments with the addition of an enclosed beer garden, vegetable garden to provide some of our own vegetables in our kitchens, new state of the art pub kitchen and 5 en-suite letting bedrooms.